Andrew Blackshaw, in his new role as MD, MAG Investment Assets will focus on MAG’s investment properties comprising c.8m sq ft of assets including offices, hotels, warehouses and hangars. His goal will be to maximise value and efficiencies from these properties which are independent operationally of the airports. Andrew joined from Deloitte in July 2017 and has 17 years corporate finance and real estate consulting experience. 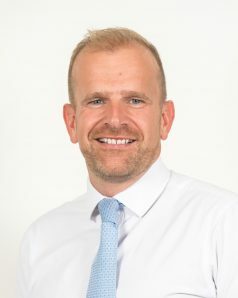 As a Chartered Surveyor and Member of the IPF, Andrew is a specialist in designing and implementing managed exits and optimisation plans on behalf of financial stakeholders, and also has extensive experience of creating and operating asset management platforms and repositioning diverse portfolios. He has led operating asset management platforms working out a number of high profile restructurings including the recovery of Silverburn Shopping Centre, Targetfollow Estates (Centre Point and Baskerville House in Birmingham) as well as advising on the management structure of The Shard. Additionally, Andrew has delivered a number of real estate non-performing loan transactions for vendors, and has articulated and delivered various workout plans for private equity investors.